According to Pastafarian “beliefs”, pirates are “absolute divine beings” and the original Pastafarians. Furthermore, Pastafarians believe that the concept of pirates as “thieves and outcasts” is misinformation spread by Christian theologians in the Middle Ages and by Hare Krishnas. Instead, Pastafarians believe that they were “peace-loving explorers and spreaders of good will” who distributed candy to small children, adding that modern pirates are in no way similar to “the fun-loving buccaneers from history”. In addition, Pastafarians believe that ghost pirates are responsible for all of the mysteriously lost ships and planes of the Bermuda Triangle. Pastafarians celebrate International Talk Like a Pirate Day on September 19. The inclusion of pirates in Pastafarianism was part of Henderson’s original letter to the Kansas State Board of Education, in an effort to illustrate that correlation does not imply causation. Henderson presented the argument that “global warming, earthquakes, hurricanes, and other natural disasters are a direct effect of the shrinking numbers of pirates since the 1800s”. 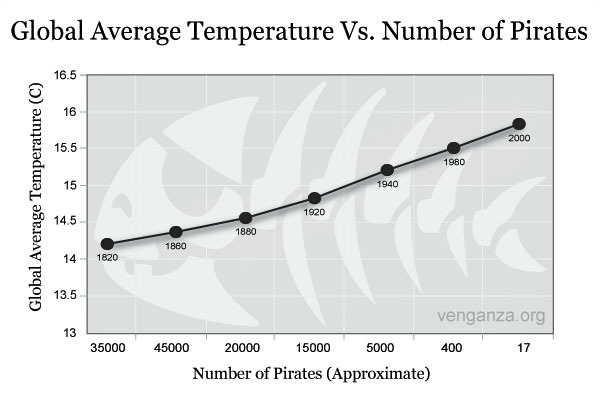 A chart accompanying the letter (with numbers humorously disordered on the x-axis) shows that as the number of pirates decreased, global temperatures increased. This parodies the suggestion from some religious groups that the high numbers of disasters, famines, and wars in the world is due to the lack of respect and worship toward their deity. In 2008, Henderson interpreted the growing pirate activities at the Gulf of Aden as additional support, pointing out that Somalia has “the highest number of pirates and the lowest carbon emissions of any country”. The fact that TLAP day this year happens to correspond to the day that Patty’s cousin from Iowa (whom she has never met) is coming to visit us is just her tough luck. 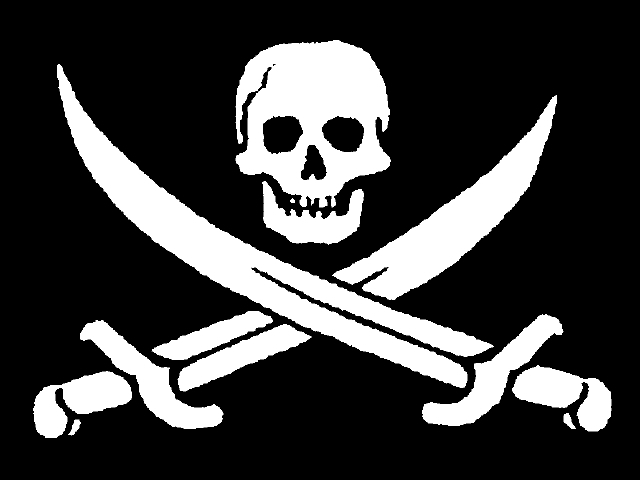 What do people from Iowa know about pirates anyway? I’m sure they have some scurvy scalawags in Des Moines but they just don’t have the élan and savoir-faire of a pirate. They’ll be getting an education, won’t they! BTW, there’s a BIG difference between swashing and swishing. Don’t get them mixed up!